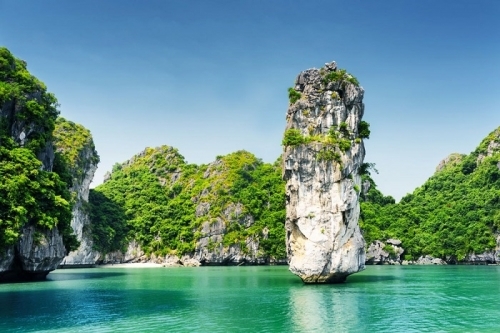 HaLong Bay, located in the Gulf of Tonkin, covers an area of 1500 square km. 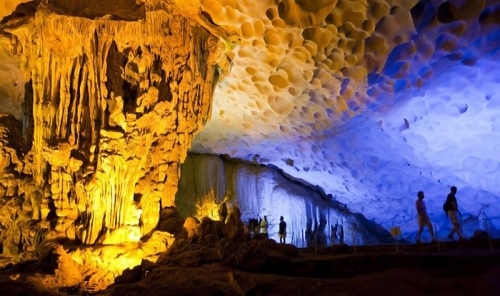 With more than a thousand limestone peaks soaring from its crystalline emerald water this area is one of the natural wonders of Vietnam and now one of four World Heritage listed sites in Vietnam. 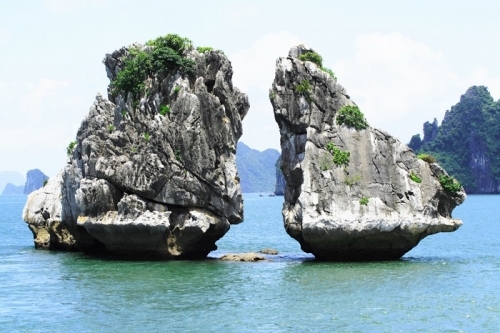 Visitors have constantly marveled at Halong Bays natural beauty. The tiny islands are dotted with innumerable beaches and grottoes created by the wind and the waves that make a excellent backdrop for swimming or just lazing about on the boat deck. Arrive in Ha long city. Enjoy the lunch. Then take a boat trip about 4hrs journey. 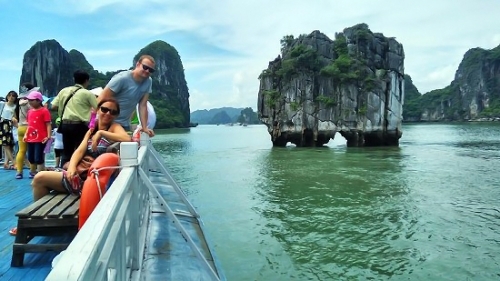 Cruise through the emerald waters between the limestone outcrops and long corridors (Dog Rock, Incense Burner, Flighting Chicken), Bamboo boat trip in Floating Village (optional), visiting Thien Cung Cave - the most beautiful cave in Ha long Bay during 45 minutes. Going back to Tuan Chau Port where minibus is waiting for you to take you back to Hanoi. Free of charge for infant (below 5 year old) , other expense pay by parents. Superior Type: Air con tourist bus, boat trip, entrance fees, English speaking tour guide, 01 water bottle, normal lunch (Vietnamese lunch). Deluxe Type: Air con tourist bus, boat trip, entrance fees, English speaking tour guide, 01 water bottle, seafood lunch and kayaking. 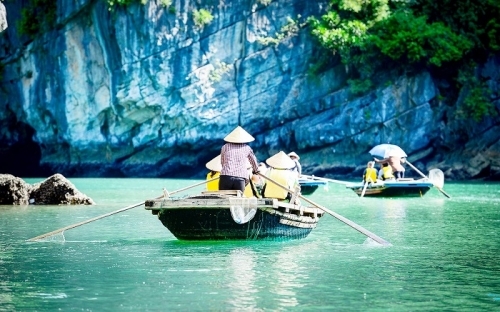 Private car, joining boat trip, entrance fees, English speaking tour guide, 01 water bottle and lunch (Vietnamese lunch). 1. Print your voucher; locate the voucher in your travel confirmation e-mail or in "show ticket" link on the site and show voucher to guide. 3. Special request (diet or vegetarian, …) should be noticed before your departure date. We will free pick-up and drop off at hotel in Hanoi.